From John Pinkerton, I received a lengthy response to my blog post on real cider for Thanksgiving. John is not only a real cider aficionado; he is a professional ciderist. and Jamie Bartholomaus of Foot Hills Brewing (c). John is the brewmaster and co-owner of Moon River Brewing Company in Savannah, Georgia. He produces real cider there for sale at his brewpub. In Georgia, Hard Cider is treated like beer up to 6% alcohol. I would assume that if a given cider had the requisite amount of malt sugar and hops (negligible) it could be brewed up to 14% as a "malt beverage". For Moon River's Road Trip Hard Cider, we aim to keep it at or below 6% abv for the sake of keeping it in the 'session' range, although that can be a challenge depending on the variety of apples used. At Moon River we've always leaned heavily towards the late season, tart varieties, because I believe the acidity makes for a more dynamic flavor profile. From Mercier Orchards in north Georgia, we use a blend of Granny Smith, Pink Lady, and Gold Rush. In previous years we've supplemented the mix with sweeter varieties to bump up the sugar, but with the addition of Gold Rush, this is unnecessary. Gold Rush had the acidity of a Granny, the tannin of some of the old heirloom varietals and the sweetness of a Splendor. We've seen the Brix of Gold Rush as high as 19... By itself could get you to almost 10% with no additional sugar! We drive up to North Georgia each year sometime in late October to early November in a Ryder truck loaded up with ten, 55 gallon food-grade plastic drums. The next morning, we drag ourselves the rest of the way up to Blue Ridge, Georgia, where the Merciers are cheerfully waiting to press our 550 gallons of fresh, juicy goodness, while we wait. After the pressing, which is a Willy Wonka spectacle to behold, we load up for the long trip back to Savannah. The weather in North Georgia is usually quite chilly that time of year; our juice stays quite cold. In fact, even after we pump the cider from the drums into the fermenter, it often takes several days for the temperature to come up enough to get our house strain of English-style ale yeast up and running. We use the same strain of yeast that ferments our IPA, Porter and many others, though we always manage the schedule so the yeast pitched into the cider can be dumped after fermentation. There is, of course, plenty of wild yeast and bacteria that come from the orchards, playing a role in the over all character of the finished cider. Despite this, we have very little concern for the long term stability of the cider, for a number of reasons. Our hard cider is only served in house, so it remains cold through out its life span and I believe the alcohol combined with the fairly high acidity help it keep for a long time. Just the same, I've actually tasted cider that had been sitting in kegs in an out door boneyard in Savannah, Georgia for several years that tasted remarkably unspoiled, albeit a bit oxidized. As for cross- contamination w/in the brewery, we treat our tanks and lines to the same aggressive cleaning regime that we use for any of our Barrel-aged, brettanomyces, and bacteria beers. We have a whole set of clamp gaskets that we only use for these type of fermentations and since we only do "wild stuff" once or twice a year, we also take the opportunity to outfit the tank with all new gaskets, just to be safe. We have not had any issues with line taint. We have a pretty solid program for cleaning our lines. Also, the main run of our draft lines is barrier tubing with some polyvinyl on the ends for restriction, which get changed out every few years. As for flavor taint... the only thing that's ever given me a real problem was [a commercial] cheap apple based cider with a really tenacious and, IMO, seriously overdosed pear extract. That stuff is like rootbeer! We filter loosely through a pad filter, though truth be told, it is usually a huge pain in the arse. I assume pectins are the culprit. We have for the last few years utilized a general pectinase to help, although the normal dose last year didn't do a whole lot for us. While I haven't done a yeast-on-skins fermentation with our cider, I'd like to play with that some day, even if just a portion of the whole batch. We currently have plans to barrel age a portion of the batch that is working now. We have a Mondavi Red Wine Bbl full of our Dixie Cristal - Belgian-style Trippel, that is about ready to be racked... my plan is to refill it with our Cider and see what happens. The Trippelbrett-y witch hazel and juicy fruit characters evolving, so I have high hopes for the cider. I'm not aware of any other brewpubs doing cider, but I'm sure some one out there is probably doing something similar. We only do this once a year [in apple season], so I don't consider myself an expert, but my experience leads me to believe that cider is pretty darn simple... as it should be. With beer, there is so much nuance with the process itself to create good beer. With the cider, I don't feel like I can take much credit... it's pretty much nature's goodness. When I was last in Savannah on business, I had stopped in at Moon River. But I didn't try the cider. So, a road trip might be called for. Rob Kasper, columnist for the Baltimore Sun, has published his annual article revealing the paper's choices for winter/Christmas beers. He splits the list of candidates into three regions. The Belgians work wonders with sugar and yeasts in their beers. The Americans, an ever inventive lot, delight us with their bigger but balanced brews. And the English deliver toasted and roasted delights. He describes what makes a winter beer a winter beer. Whether these beers are called "winter warmers," holiday beers or Christmas beers, traditionally they have something extra - an additional ingredient or an extra helping of malt - that the brewers put in the mix. Brooklyn Black Chocolate Stout, one of eight among thirty-five American beers tasted. Klein Duimpje Kerstbier, one of three among fifteen Benelux beers tasted. Ridgeway Lump of Coal, one of three among ten English beers. Rob's article, and the full list of winning beers, is on-line at Holiday beers: something to celebrate. I participated in the power tasting that determined the choices. Several of my preferences were not those of the majority of the panelists. Read more about that experience and the beers we tasted here. Caveat: I work for a wholesaler in northern Virginia —Select Wines— which sells Brooklyn Black Chocolate Stout. Turkey, who needs a turkey? For me, the Thanksgiving meal is the culminating celebration of a mid-Atlantic bounty of vegetables and fruit. Beginning with the shoots of spring, this feast continues through summer (real tomatoes! ), and finishes now with all those wonderful apples, and gourds and root vegetables. Of course, most Americans will be enjoying turkey tomorrow. But it's those side dishes that seem to foment bibulous consternation: What wine to serve that can stand up to those flavorful foods yet not overpower the bird. And, as if to add to the annual angst, a legion of epicures has appeared in the last decade or so, advocating not wine but beer at the table. Count me as one of that horde. Even though wines such as cru Beaujolais (not insipid Beaujolais Nouveau) or Gruner Veltliner or Champagne (or slightly fruitier Prosecco) can be fine wine accompaniments, it is beers —with their flavors derived from roasting, toasting, sprouting, and cooking— that are natural complements to the meal. with Thanksgiving you've got a variety of traditional foods on the table, usually simple, and generally not sourced from wine-country cuisine. In a 2003 piece I wrote, entitled —surprise— Turkey and Beer, my recommendations were saison and Flemish sour reds. I'll stand with those tomorrow. Ordinarily, I enjoy Champagne with turkey. On the beer front, I'd probably side with that wine's close cousin and select a firm, dry gueuze. I'm a dedicated fan of gueuze and unsweetend lambics. But the intense sourness of gueuze, and its lactic and gamey aromas (though appropriate to the meal), may be too much for some diners. So I'll offer one more recommendation. just a few months ago, I had one of my very rare epiphanies, sitting in the River Café in Glasbury-on-Wye. Studying the drinks menu and looking for something that would successfully accompany a gargantuan portion of the (very good) food they serve there, I spied something called Westons Vintage Special, an 8.2 per cent proof cider. <...> My experience with with Westons has made me completely change my attitude towards the drink. Not only have I recently sought out two local ciders in France (one in Brittany and one near Banyuls), but I have started paying more attention to real British organic ciders. <...> Simply put, I've been converted. Being from the British Isles, Mr. Jones did not link real cider to Thanksgiving. I will. Real cider is not sweet flavored alcoholic apple juice. Very different in production and flavor, it bursts with phenolic complexity, tannic structure, sharp effervescence, and refreshing acidity. And although real cider lacks the cooking-flavor hooks of beer, its inherent character and seasonality makes it an appropriate mate for the entire Thanksgiving meal. The Washington Post recently ran a piece on cider in the Spirits column: It's Time Cider Got Some Good Press. In the early years of America, most apples ended up in the cider barrel. Cider was the beverage of choice in those days, mainly because apples were cheaper and easier to come by than the grains and grapes with which Europeans made their liquor [and beer and wine]. By the 17th century, cider often was being substituted for water, which was considered to be unsafe. Cider ruled until the end of the 19th century, when temperance-movement zealots began chopping down entire apple orchards, "unable to conceive of any other use for the fruit except spirits," according to "Laird's Applejack Cookbook." That resulted in one of the saddest and least-acknowledged culinary legacies of the temperance movement and Prohibition: the loss of acres and acres of American cider apple varieties. the clean, refreshing notes of the British cider Aspall; the dry, champagne-like elegance of french products such as Eric Bordelet Sydre Argelette; the crisp, sappy Farnum Hill's Extra dry, which hits some of the same notes as, say, a New Zealand sauvignon blanc. <...> A cider such as Etienne Dupont, my other favorite, has tiny, sparkling bubbles, a yeasty and ripe fruit aroma, an intense yet round apple flavor, and a lightness that makes it very drinkable. Real ciders —or 'cidre' as the Brittany French refer to them— are often packaged in 500-ml or 750-ml bottles. They can run, price-wise, the same as cheap wine, but as Wilson notes, at 6% to 9% alcohol, they make for tasty replacements over mediocre white wine. In the U.K., real cider is usually served fresh from casks like real ale. More here. Whatever your food choice, and whatever your libation choice, enjoy a happy and safe Thanksgiving. Caveat: I work for a beer and wine wholesaler in northern Virginia —Select Wines— which sells Aspall Cider. Beer deal: the end of the king's reign. I asked a colleague in the beer business what he thought of the sale of Anheuser-Busch to InBev. You've mistaken me for someone who cares, was the reply. A bravura shrug should not be the response. Wariness should be. The craft beer industry, due to its precarious and small nature, is at great risk to be affected by circumstances from this sale, predictable and unforeseen, that are out of its control. Neo-prohibition is on the rise. The economy is in historically bad shape (and excise taxes may be increased on alcohol to help deal with that). In ABIB, the craft beer industry is facing the largest brewery the world has ever seen. Possible scenarios? There may be realignment of distributorships, scarcity of ingredients (real and nefarious), scarcity of packaging materials (the same). And what of Trojan Horse products: lower-priced beers masquerading as craft beers? The US House of Representatives has a Small Brewers Caucus. But don't put too much stake in that. Its home web page still lists an event held in May of 2007 as an upcoming event. And, of the 35 members in the Caucus, there are none from Maryland and only one from Virginia: Representative Virgil Goode, Republican from Virginia's 5th District. It helps to have friends in high places. But that's not enough. The craft beer industry and its friends need to redouble their efforts to create small brewers guilds, cooperate in purchasing and marketing campaigns, and actively engage in political outreach. ABIB has $52 billion dollars (some reports say $55 billion) of debt to repay. It won't be looking to be small breweries' friend. Clementine Paddleford —with a name like a pseudonym for a writer of early 20th century romance novels— died in 1968. For the 4 decades prior, she had indeed been a writer, but not of novels. Before celebrity chefs, before Zagat, before Julia Child, Paddleford had traveled the US, limning what America ate and cooked: its common food culture 'hidden' in plain sight. 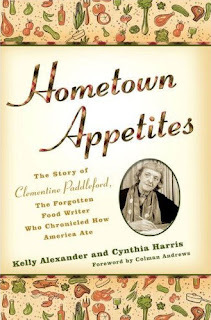 Hidden Appetites chronicles Paddleford's career, and includes many recipes she wrote about. Authors Keely Alexander and Cynthia Harris provide explanations and substitutions for 21st century kitchens and pantries. explore the world of unexpected, below the radar cooking, legendary meals and eating traditions — how communities come together through food. Hidden Kitchens travels the country chronicling American kitchen cultures, past and present. Nelson and Silva's D.C. Historical Society presentation was moderated by NPR's Susan Stamberg. They read passages from their book (along with various NPR announcers as well) and played snippets of 'food' audio from their programs. For instance, how Fritos, invented in Texas, were originally developed as a 'health' food! How a man held in solitary confinement in Louisiana prison for three decades still managed to create and cook praline candy confections— an impossibility, at least as claimed by the Louisiana State Penitentiary authorities. But there his pralines were, at the end of the evening, for all of us to try. Now released from prison, Robert King Wilkerson had sent us a large fresh batch of his 'freelines'. (He has renamed them in honor of his status.) And they were, indeed, 'impossibly' delicious. Thank you to Cabot Cheese, who arranged for me to attend the Hidden Kitchens program. More here about that presentation. Apropos of the topic, I would also recommend Bob Skilnik's Beer and Food: An American History. It's one part history, one part beer myth exposé, and one part beer-as-ingredient cookbook. The former Carnegie Library, a glorious building in Washington, D.C., now houses the Historical Society of Washington, D.C.
On a recent cold November evening, the Society played host to National Public Radio. 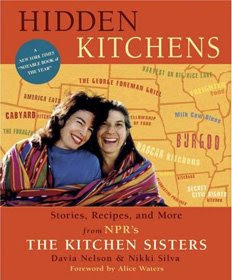 Susan Stamberg moderated a discussion with The Kitchen Sisters about their radio program: Hidden Kitchens. During a reception beforehand, cheese was donated by Cabot Creamery of Vermont and beer by Clipper City Brewing of Baltimore, Maryland. Wine was provided by Chateau Morrisette of Virginia. Placards on each table displayed the appropriate pairings. NPR's Susan Stamberg wasn't a convert. She stayed with wine: wonderful juice from Virginia winery Chateau Morrisette. But there was a split loyalty. NPR's Ari Shapiro, sartorially elegant, chose beer. The same does not always hold true with wine. According to common lore, matching wine and cheese is a no-brainer. But when a rich, plush red wine meets a fresh, tangy chèvre, it causes an unpleasant tannin explosion in the mouth. Even so, the Wine Spectator does not praise beer's companionship. But the Baltimore Sun did, in the article Crafty Combo. More here on Hidden Kitchens and Hometown Appetites. Located near Washington Circle in Washington D.C., One Step Down was the city's cool, hip jazz club from the 1980s into the mid 1990s. And, yes there was a step down at the front door. The coolest, hippest cat who played there was also the most mysterious and the most urbane: Lawrence Wheatley, composer and pianist. Mr. Wheatley died October 19th. I worked at the One Step for a few years. But before that, there had been many Sundays when I would stop in for a hair-of-the-dog brunch, reviving from Saturday evenings of too much fun, as Mr. Wheatley would lead the Sunday jam sessions. On top of all of this Lawrence was a gentleman. He carried himself with a certain dignity, grace, and courtesy that is almost unheard of these days. And although at times he spoke very eloquently and even mysteriously he also had a great sense of humor and was not pretentious in the least. Flocculation is one of those evolutionary traits of yeast that —Godisgood*— is essential to creating beer. As any brewer will tell you, the yeast used to make beer tends to bunch up during fermentation. However, despite thousands of years of brewing and decades of genetic research on yeast, no one was able to explain why yeast stuck together. But now, scientists at Harvard University have at last identified the specific gene that enables yeast to, ahem, flocculate. That gene allows the normally solitary yeast cells to shield themselves from toxins in their environment by banding together in protective balls. Since one of those toxins is the ethanol that the yeast themselves produce, grouping together allows the yeast to survive in the alcohol-rich environment that results from brewing [emphasis mine]. Over time, the yeast cells with FLO1 weed out the freeloaders, pushing them to the outside of the ball. Through this process, the freeloading cells not only don't get the benefit of being in the yeast ball, but they pay a cost by acting as the first line of defense for the yeast flock. It's almost like game theory for yeast. And, for Kevin Verstrepen, the lead scientist of the Harvard study, "who got his biology PhD from the Center for Malting and Brewing at the University of Belgium"
this is just one more example of how much the science of beer has to offer the science of biology. Extrapolating from unicellular biology to group sociology, sometimes it is all about the beer. * Godisgood: a term once used by brewers to describe the beneficent activity of yeast without understanding its nature. Or maybe they did. Alerted to this story by Alan McLeod at A Good Beer Blog. It appears as if InBev has completed its purchase of Anheuser-Busch Cos.
InBev SA on Tuesday formed the world's largest brewer when it closed its $52 billion (euro41 billion) takeover of Anheuser-Busch Cos. The new company, named Anheuser-Busch InBev, will be headed by InBev CEO Carlos Brito and will be headquartered at Leuven, Belgium. After the vote, August A. Busch IV said the tie-up with InBev would be the best option for shareholders, and would lead to a “promising future” for the brewer. “We are about to sell more beer, to more people, in more countries than any other company in the history of brewing beer," Busch said. Of course, that's the same August-Busch IV —now a non-executive director of the new conglomerate— who, only a few months ago as CEO of Anheuser-Busch, had pledged, like a latter-day Churchill of beer, to fight the the invaders ... in the brewhouse and in the boardroom, and to never surrender. Now that the deal is finalized, Anheuser-Busch’s reign as the biggest independent American brewer has come to an end. The company traces its history as an independent company back five generations, to 1852. Now, back to what is now true domestic American beer: the craft brewers. From Sierra Nevada Brewing comes this description of a new hop varietal called Citra. Sierra Nevada ( and two other breweries) funded the research and development of this variety and we own most of the acreage available in the world, (which is something like 3 acres). This hop has a crazy strange flavor profile, leaning toward pineapple, mango, papaya [emphasis mine] and other tropical fruit flavors and aromas. As always, we use only whole cone hops. The variety Citra, with a alpha acid content between 10-12% and an oil content of 2-3 % originated from a cross between the female European noble aroma variety Hallertauer Mittelfrueh and a male that was derived from the variety known as U.S. Tettnanger. Citra is 50% Hallertauer Mittelfrueh, 25% U.S. Tettnanger and the remaining 25% is East Kent Golding, Bavarian, Brewers Gold and other unknown hops. Citra is the hop of prominence in a formerly draft-only beer that the brewery calls its Sierra Nevada Torpedo Extra IPA. The torpedo reference is to a device designed by owner Ken Grossman and his brewers to more efficiently dry-hop their beers in large 600-barrel fermenters. The Hop Torpedo is a cylindrical stainless steel vessel that was developed to harness the essential oils and resins in hops, without extracting bitterness. The device essentially works like an espresso machine. A stainless filter basket is packed full of whole cone hops loaded into the vessel and sealed against pressure. The device is then placed in the fermentation cellars where beer from the cylindroconical fermenters is pushed down from the tanks, through the pressurized column of hops and back into the fermenting tank. The flow of beer out of the tanks, into the Torpedo and back into the fermenter can be controlled to extract different levels of flavor, aroma and bitterness. Essentially, it is a new way of dry-hopping that extracts all of the oily resin without the residual bitterness of the traditional method. The final two sentences seems to imply a pickup of bitterness from dry-hopping. Most breweries extract bitterness by boiling their hops submerged in wort for an hour or so in the kettle, not from dry-hopping. Think of dry-hopping as a brewer's caprese salad. Rather than adding uncooked basil to a salad, a brewer add hops to finished beer, cold in a storage tank. The process imparts herbal, resiny, and grassy aromatics to a beer. The New Yorker magazine has published an article about the so-called 'extreme beer' movement of American craft beers. The author —Burkhard Bilger— cuts and pastes to create the impression of an argument between Garrett Oliver of Brooklyn Brewing and Sam Calagione of Dogfish head. I think it's more of a spirited rivalry. Alerted to this piece by Kasper on Tap. Sorry I've been absent, it's been a busy week. A well-tended blog can begin to seem visceral. You feel the urgency to satisfy with a post, and when you haven't, you feel a pang of guilt. If you want to learn about the state of beer in general, American beer more so, and the greater Pennsylvania area specifically, read Lew's blog. And whisk(e)y, too: Lew is the Managing Editor of the magazine Malt Advocate. In the successful wake of this year's inaugural Philly Beer Week —a week in March stretched to 15 days of beer events throughout Philadelphia, Pa.— folk in Baltimore, Md. have proposed the same thing, for their city, but in October 2009. 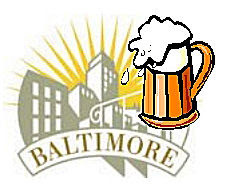 Joe Gold, along with a handful of other beer enthusiasts including me, are exploring the possibility of putting together a week of beery festivities in Baltimore sometime in the fall of 2009. Philadelphia's second Philly Beer Week occurs in 2009, March 6-15. A meeting of the Chesapeake branch of the Society for the Preservation of Beer From the Wood (SPBW). The upstairs bar at the Metropolitan, a combination of coffeehouse, restaurant, music spot, wine bar, and good beer bar in the Federal Hill neighborhood of Baltimore, Maryland. The bartender asked the customer if she should pull a pint of cask-conditioned stout for him. "Handpulling from a beer engine isn't traditional," the customer replied, "and I'm a traditionalist. The cask should be sitting on the bar." Just at that moment, Bruce Dorsey, owner of the restaurant, happened to be walking past. "No," he growled. "A beer engine is traditional." Traditional since 1797, when Joseph Bramah —the inventor of the hydraulic press— created, what he called, a beer engine, a hand operated piston pump to pull beer from a cellar up to a bar. To this day, most 'real ale' pubs in the U.K. serve their cask ales via beer engines. I was reminded of a scene in Woody Allen's film Annie Halll in which an officious man is pontificating about Marshall McLuhan and the global village. The man behind him announces that he is Marshal McLuhan, and that the other man has no idea what he's talking about. Woody Allen breaks character, faces the camera, and asks whether we wouldn't prefer real life to be like this. "Oh ... but I prefer my cask ale pulled through a beer engine," the customer verbally backpedaled. The bartender pulled the handle of the beer engine. She filled the pint glass with cask-conditioned Wolaver's Organic Oatmeal Stout. She gave the pint to the customer. He drank; he smiled; we all smiled. Was that a triumphant grin on Mr. Dorsey's face? When this post was written, Metropolitan had only just re-opened after suffering damage from a fire. More about cask-conditioned ale: here. InBev agreed to sell Labatt USA after the government concluded that the combination would eliminate competition in western New York between InBev's Labatt Blue and Labatt Light and Anheuser-Busch's Budweiser and Bud Light brands. Even though regulators in China and the United Kingdom have yet to okay the purchase, an unidentified source close to the situation says that InBev's purchase of Anheuser-Busch will be consummated next week. Beer writer Chuck Cook, ever the Belgian peripatetic, is heading back to the land of Lambic for his 18th trip. At his blog post listing his itinerary, he writes about the possibility of single barrel bottlings from the Rodenbach brewery to be exported to the US. I had lunch with Rodenbach owner Jan Toye in NYC in September, and he told me that ... the brewery is considering direct bottling from some foeders [oak barrels] with no blending. This is important, as each indivual foeder has its own microflora and distinctive flavor. <...> Rodenbach has never bottled a batch right from a single foeder, as far as I know. Given there are 294 of these oak barrels at Rodenbach <...> I hope this idea becomes a reality. Read more at his blog: Belgian beer and travel. It's a story that began in 1860 with the insurrection of German (and Irish) workers in St. Louis breweries against the forces of the pro-slavery Missouri governor. It's a story of a beverage brand that —as well as Coca-Cola— has become a liquid surrogate around the world for the brand of American itself. And, it's a story that will end later this year, when Anheuser-Busch, the last surviving independent large American brewery, will be sold to InBev, a Brazilian/Belgian conglomerate. Yes, there are other American breweries that, like A-B, began their operations in the 19th century and that survive today. And we salute them. But none remotely approaches the scale of operations of Anheuser-Busch, which produces 48.5% of all beer sold in the US, as well as its overseas large operations. ST. LOUIS (Nov. 12, 2008) – Anheuser-Busch Cos. Inc. (NYSE: BUD) today announced that a majority of its shares have been voted to approve the proposed combination between InBev N.V./S.A. and Anheuser-Busch during a special shareholder meeting held today [at the Crowne Plaza Meadowlands hotel in Secaucus, N.J.]. At the closing of the transaction, Anheuser-Busch shareholders will be entitled to receive $70 in cash for each share of outstanding Anheuser-Busch stock, and Anheuser-Busch will become a wholly owned subsidiary of InBev. Closing of the transaction remains subject to necessary regulatory approvals and other customary closing conditions. A closing date has not been announced, but the parties continue to expect the deal to close before the end of the year. InBev shareholders approved the combination on Sept. 29. ... over the past 150 or years, it's been a great employer and provided millions of people and their families with good jobs. It's also been a good citizen in the St. Louis area, donating what is now probably hundreds of millions of dollars to various charitable groups, a tradition that began with Adolphus Busch back in the 1870s. It practiced affirmative action before it had to and hired women before it was required to do so. My one quibble with A-B’s statement today — there’s always something, right — is Busch’s comment that “[t]he merger also provides a promising future for our beer brands and for all stakeholders — employees, wholesalers, retailers and our consumers.” Maybe, but it certainly does not do so equally or evenly. Many of the employees who will be laid off might not feel that their futures have been made better by the merger. Likewise, distributor shakeups will inevitably take place, which I’m skeptical will be for the better. As for how it affects consumers, only time will tell. InBev will be paying $52 billion at $70 a share. A-B's stock was trading at $66.54 per share yesterday. Once the deal closes, Anheuser-Busch InBev (ABIB) will be the world's largest brewer, as determined by both volume and dollar sales of about $36 billion. Or will that now be listed in euros or reals? As has been reported here, there remains an outside possibility that InBev may not be able to secure the financing to complete the deal. Mild brown ales, the knock-back drink of thirsty coal miners and dock workers, are not so appealing to post-industrial office workers, who are less thirsty and more aspirational. Steve Jones agrees about Mild Ale's pedigree, but he emphatically disagrees with any potential lack of appeal. For the past eight years, Steve has been the brewer for the Wharf Rat Brewpub in Baltimore, Md. He will remain the brewer under its new ownership and new name. His Mad Monk —a mild ale— is a Wharf RatPratt Street Ale House mainstay. I met up with Steve at the Chesapeake Real Ale Festival in October, and we talked, again, over the phone. He told me, "I'm an advocate for Mild Ale." Steve comes from the English Midlands. Even there, he lamented, Mild Ale has become "a niche beer," only occasionally brewed. At least his local pub in Coventry would often offer a Mild Ale on cask. Steve earned his brewing bona fides as a brewer and manager for the Firkin Brewery chain in the U.K. Now defunct, it comprised some 200 pubs, of which 25% had brewing facilities. But what exactly is a Mild Ale? The definition may depend not on what but on when. UK beer historian Martyn Cornell says that pre-20th century (although, for a smaller set of breweries, into the mid-20th century) mild was fresh beer, often strong, and not necessarily dark. Confusing the issue, a mild of high alcoholic strength could be known as a "stock ale" since "because of its strength, [it] needed to be laid down for some months." In his ebook, Cornell finds even earlier historical references to Mild Ale. Changes in taste preference —and the shortage of malt and the higher taxes on malt during World Wars I and II— brought about a reduction in the strength of Mild Ales. The darkening of color seemed to have occurred (although not universally) around the turn of the 20th century. The critical point is that a mild today is a relatively dark session ale, that is, not a highly alcoholic hop bomb, but a beer suitable for several pints without bringing on inebriation or tannic saturation. Modern US interpretations tend toward a subtle complexity of roast and dark malt. As film director Billy Wilder said, "Make the subtleties obvious." So why isn't Mild Ale popular here or in the UK? At a low end of 3% alcohol by volume (abv) to a high end of 4.5% abv, Mild Ale might be considered, shall we say, too mild for some good beer fans. It is important to realize that alcohol is a great carrier of flavor, and also adds body and richness to the overall flavor profile of a beer. Mild Ale's emphasis of dark (not roasted) malt character rather than pungent hop character and bitterness may also work against its acceptance. Crabby McDougall, the Beer Party (unsuccessful) presidential candidate, found the prejudices of many good beer fans to be at fault. Does the typical member of beeradvocate.com appreciate subtlety, balance and elegance? If this were the case, they might find a way to squeeze a classic British bitter onto their top 50, or maybe a helles, a dunkel or a mild [emphasis mine]. Steve's Mad Monk is 4% alcohol by volume. Even so, I'll attest that it does have a lot of malt character. As the late beer writer Michael Jackson would say, "it's more-ish." Steve brews the beer with Crisp pale malt and chocolate malt, both imported from the UK. (The "chocolate" is not a confection, but a barley malt kilned to that color.) The hops, although present, are there for "balance", to dry out the malt sweetness for a refreshing character. Steve maintains that the lower alcohol level is a positive for Mild Ale. "Mild Ale had long been brewed to be a refreshing and flavorful tonic for miners and steelworker in some regions of the UK," Steve said. And these days, there is a revivalist movement in the UK to promote Mild Ale for the month of May. A darker beer for a warmer month? Weather conditions in the UK may not be identical to those in the US, where a cooler April might be the latter's preferred month for Mild (even though the campaign's alliteration would be lost). But, Steve continued, it's an incorrect assumption of many that a dark beer will always be 'heavy'. Steve finds Mild Ale to be refreshing even during hot humid Maryland summers. It can be flavorful without being 'heavy'. "Just taste it," he suggests. "For me," he adds, "Mild Ale is the beer for all seasons. Sometimes the simplest things are the best." Overheard and (over)seen recently at a beer bar. Two patrons sat at the bar. Both ordered N.A.I.L.s (North American Industrial Lagers). Thinking that they would sprinkle a little on their beverage napkins, we watched. It's an old bar trick that prevents a napkin or coaster from sticking to a wet beer glass. But they didn't do that. No, they shook the salt INTO their beers. Why, we asked. "It makes the beer taste better," they answered. None of us suggested that maybe, just maybe, the next time they might order a beer that tasted better, to begin with. The 2007 sale of Dominion Brewing to a consortium of Anheuser-Busch and Fordham Brewing had at least one insalubrious effect. The new brewery declined to continue to brew long-time local favorite Tuppers Hop Pocket Ale and Hop Pocket Pils. Bob and Ellie Tupper have been looking ever since for a new home. I wish I had some real news to post, but our efforts to get back in the market the right way are just taking time. Contrary to some rumors, we don't have a deal with anyone yet, and there is certainly no fixed price at which we will return, although it's certain to be about 50 cents higher than "ouch" and it may even be 50 cents higher than "yowie!" I promise you that's as specific as we've gotten on pricing. Beers will be made to our specifications—no short-cuts to reach a price point. The ale and pils recipes will not change except to adjust to changing flavors and intensities of hops and malts—adjustments we had to make several times when we were with Old Dominion. Any agricultural product has to run hard to stay in the same place. The breweries will work with us to develop other beers including some seasonal and one-off products. Working with two breweries presents some legal complications that we did not have when we were permanently moored to the Old Dominion dock. Right now we're working through the details—trying to get a label that will work both in the short run and in the long run, change the way our corporation operates, contract for some quasi-secretarial assistance, and re-establish a distribution network. We hope to have beer in the tank soon and return to the shelves sometime early in 2009. Homebrewer Lyle Brown celebrated, Friday evening, as a keg of his award-winning beer was tapped at the new Fredericksburg, Va. Capital Ale House. Fredericksburg-area beer blogger David Turley (Musings Over A Pint) and I, and several local homebrewers were all on hand to help him celebrate. A collaboration between Lyle and Starr Hill Brewery in Crozet, Va., Smoke Out, his Rauch Hellerbock, won the silver medal in the Pro-Am competition of the 2008 Great American Beer Festival. It's a full-bodied deep-golden bock, with a gorgeous malty middle, and a smokey, almost bacony flavor and aroma. A deceptive 8+% alcohol. Lyle walked about the restaurant, proudly offering samples of his Rauchbier. A few of the customers were indeed taken aback by the smokey flavor. But more than a few ordered full pours. And, Smoke Out, indeed: Capital Ale House does not allow smoking, until after 9PM. Smoke Out is also on tap at the three other Capital Ale House locations in the Richmond area. Lyle told me that Starr Hill is considering brewing it again. Friday evening was another kind of celebration as well. Capital Ale House had just opened this Fredericksburg location four days earlier on Monday. So, this was their first Friday evening. The beer bar and restaurant, housed in a restored building in the historic downtown area of Fredericksburg, was packed with customers. And, at least from the vantage of my seat at the bar, things seemed to move smoothly (other than a line to get in at about 8pm). The restoration of the old building had included exposing wooden ceiling joists, repointing brickwork, and refinishing original wood plank flooring. Of course, the central draw is the beer. The Ale House has 60 draft lines and stocks 300 different bottled beers. Two cask ale handpumps are promised but none were yet available Friday night. A ribbon of ice runs the length of the bartop on which customers can keep their beers cold. With so many beers to choose from, I tried two (in addition to Smoke Out). Victory Brewing's fresh-hopped Harvest Pils had a fresh-garden aroma and a bracing finishing bitterness. Lights Out Holiday Ale, from Blue Mountain Brewery in Virginia was thick, earthy, raisiny, and dark reddish brown ale. At 7% alcohol by volume, it finished with a healthy smack of English hops. I drank that with my meal: the house-made black bean burger topped with crumbles of Maytag Blue cheese. Very busy with the capacity crowd, Matt Simmons —General Manager for the entire Capital Ale House chain— still took the time to talk with us and to congratulate Lyle. In turn, we offered Matt congratulations on the new location. See more photos from the tapping: here. 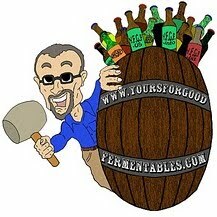 Read about another local homebrewer who also brewed for the Pro-Am competition, but who didn't win. Today, being the first Friday of the month, is the day for The Session. 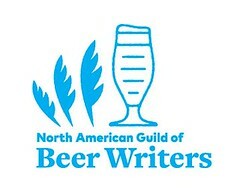 The Session is a monthly event for the beer blogging community which was begun by Stan Hieronymus at Appellation Beer. On the first Friday of each month, all participating bloggers write about a predetermined topic. Each month a different blog is chosen to host The Session, choose the topic, and post a roundup of all the responses received. For more info on The Session, check out the Brookston Beer Bulletin’s nice archive page. November's theme —as selected by Matt C. at A World of Brews— is "What is your favorite Beer and Why?" Before you say I don't have a favorite beer or how do I pick just one. I say BS everyone has a favorite. There will always be a beer that you would grab above all others, your go to beer per say [sic]. The one beer you will almost always choose over the others. When I get asked that question I almost always say I don't have one but then when I came up with this topic I realized I did and I know you do too. I thought about that very question earlier in October when I attended the Chesapeake Real Ale Festival in Baltimore, Md. If I ever do find the perfect beer —my 'favorite' beer— it will be in good fellowship, amid good conversation ... and odds are that it will be fresh cask ale. And, it will be existentially good. Related post: What's my favorite beer? "Is beer the new wine?" The answer is a resounding no. Beer stands (or falls) on it own merits; there's no need to display creeping wine envy. The entire thing is wrong. A wine is a wine, an orange is an orange, a beer is a beer. "A rose by any other name", went the line. On the other hand, if the answer is a comparison of business trends, well then, maybe. Both product categories were dominated by a few large players (and really still are) focused on making rather generic products sold mostly on price point rather than quality. <...> In many respects America’s small brewers embarked on a similar approach beginning in the late 80’s. People who once thought all beer was pale yellow and very light now understand the difference between Pale Ale, Stout, and Weizen. Chateau Montelena was one of the first American white wines to be acclaimed by international judges as the equal or superior of white Bordeaux. The California winery was purchased, earlier this year, by Cos d’Estournel, a top-flight Bordeaux wine producer. Montelena announced today that the sales agreement with Michel Reybier, the owner of Cos d’Estournel, a leading Bordeaux producer in St.-Estèphe, has been canceled. The Barrett family, which has owned Montelena since 1972, will continue to own and operate the winery, and Montelena is no longer for sale. “Reybier Investments has been unable to meet its obligations under its contract with the Barrett family,’’ the statement said. Does this reversal of fortunes for an international wine buyout have a portend for the beer industry? If the reason —unspecified— has to do with an inability to secure financing, then the answer might be —again— maybe. InBev —who earlier this year tendered an offer to purchase Anheuser-Busch lock, stock, and beer barrel— is much larger, by far, than Cos d’Estournel. But InBev has recently been experiencing difficulty in securing the $52 billion dollars it needs to complete the purchase. And now back to beer business. While I happen to think that good beer is a very affordable luxury, I am concerned that for some folks any luxury at all might well be too much for a while. So says Hugh Sisson of Clipper City Brewing at his blog. Beer sales tend to resist economic downturns, and in some cases actually increase as consumers switch to cheaper alcoholic drinks. Even if a sixer of great beer is $12, a comparable bottle of wine is probably $25 to $30. And have you seen the price of malt Scotch lately! Two persons walked into a bar. One had voted; the other hadn't. That could be the start of a joke, only it wouldn't be funny. Are you one of the "People of the United States"?